Since the 1970s, Mechanicstown drivers have been choosing the Honda Civic based on its reputation for reliability and great features. The 2014 Honda Civic’s trim levels offer features and performance that live up to the legacy it’s built over the years, and we’re proud to make it available to you at Middletown Honda. For decades, the Honda Civic has closely competed with the Toyota Corolla and it’s no different with the 2014 Toyota Corolla, from features to reliability to mpg. To help you make your decision, we’re comparing the features of the Civic and Corolla trim by trim. 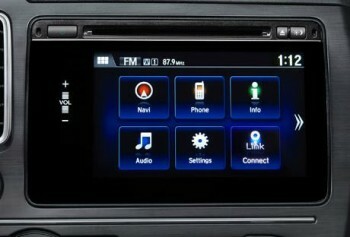 Features – Honda gives you features like a five-inch display screen, rearview camera, full power accessories, and Pandora internet radio — all features that are not standard on the Toyota. Performance – The 2014 Corolla has a 1.8L four-cylinder engine that’s capable of 132 hp and 128 lb-ft of torque, while the 2014 Civic’s 1.8L produces 143 hp and 129 lb-ft of torque. Fuel Economy – With the CVT, the 2014 Honda Civic LX is rated at 30 mpg city and 39 mpg highway. * The Corolla L is a little lower, at 28 mpg city and 38 mpg highway. On the second trim level, the Corolla adds a six-inch touchscreen, keyless entry, automatic climate control, and keyless entry as its key features — it also finally gets power door locks. The 2014 Civic EX tops it with those features and full smartphone integration with HondaLink, keyless ignition, a blind spot camera, HDMI interface, and a better sound system. With the LE Plus, the 2014 Corolla just adds alloy wheel and fog lights. The 2014 Civic EX-L’s additional features include leather upholstery, heated front seats, and a power driver’s seat. The LE Premium adds vinyl seats to the Corolla, but that’s still a step below the 2014 Civic EX-L. Meanwhile, this trim for the Civic gains a navigation system along with satellite and HD radio. The Civic HF and Corolla LE Eco are unique trims designed for drivers who want better fuel economy; they achieve this end by adding features like low-rolling resistance tires and rear spoilers to improve aerodynamics. The 2014 Corolla LE Eco boosts fuel economy to 30 mpg city and 42 mpg highway while tweaking power to 140 hp and 126 lb-ft of torque. The 2014 Honda Civic HF with CVT comes in at 31 mpg city and 41 mpg highway* while maintaining a higher level of power. For drivers more interested in performance, there are these last two Civic Si and Corolla S trims. The Corolla S improves performance with a firmer suspension and a rear spoiler, but most changes are superficial like adding sport seats. 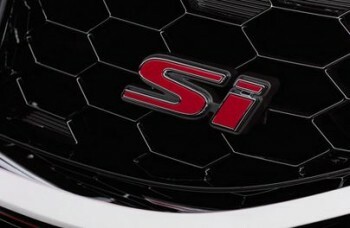 The 2014 Civic Si has numerous design changes, but dramatically boosts performance with features like a limited-slip differential, sport-tuned suspension, and a 2.4L four-cylinder engine that produces 205 hp and 174 lb-ft of torque. If you want a stylish and efficient car packed with modern technology that is still affordable, we’re convinced that you’ll be happier with the 2014 Honda Civic’s features rather than the features of the 2014 Toyota Corolla. To learn more about the Civic and to give it a test drive, come to our Mechanicstown-area Honda dealership. Middletown Honda is located at 520 Route 211 E. in Middletown, NY. * Based on 2014 EPA mileage ratings. Use for comparison purposes only. Your mileage will vary depending on how you drive and maintain your vehicle.